In an aggressive move to curb’s China’s advancements in supercomputing the US government has proceeded to ban sales of high end Intel, Nvidia and AMD CPUs and GPUs for use in Chinese supercomputers. This development came to light as Intel was preparing to ship high-end Xeon E5 Haswell based processors to refresh the Tianhe-2 supercomputer belonging to the Chinese government. 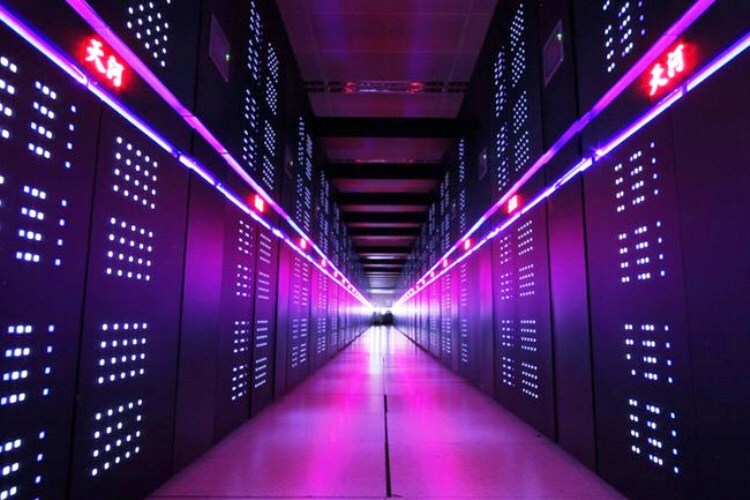 The plan for the Tianhe-2 supercomputer was to upgrade its computational capability from 33 petaflops to 110 petaflops reports the BBC. However the US Department of Commerce barred Intel from shipping the processors required for the upgrade citing worries over nuclear weapons related research. In a notice published online the US Department of Commerce said it refused Intel’s application to export the chips for Tianhe-2 and three other Chinese supercomputers because the machines were being used for “nuclear explosive activities”. The relevant section of US export regulations reveals that this covers technologies used in the “design, development or fabrication” of nuclear weapons. The US Department of Commerce even went a step further to prohibit Nvidia and AMD from selling their high-end Tesla and Firepro GPGPU co-processors to supercomputer powered Chinese research centers. IBM is also prohibited from directly selling its PowerPC CPUs but thanks to the Open Power initiative by big blue, Chinese firms can design and manufacture PowerPC based processors internally. The embargo by the US government even extends to HP and its sophisticated line of optoelectronics. Interestingly enough the embargo list doesn’t just include China, it also includes two notable countries namely Pakistan and the United Arab Emirates. And what’s perhaps somewhat funny about this is that the government of the Emirate of Abu Dhabi owns Globalfoundries, a major chip manufacturer and the primary foundry supplier to AMD. From a pragmatic point of view this entire effort really is in vein. Barred companies can navigate around the embargo through shell corporations. Which can simply acquire the necessary products directly from Intel, Nvidia and AMD and then sell them to any one of the banned organizations or governments listed by the US Department of Commerce. Even the controversial National Security Agency admits that this decision will only prove to be a hindrance on the US economy and an inconvenience for major American silicon valley chip makers.